Learn more about the newest program to boost the organic industry and tell the USDA that we desperately need more organic food (easily) available. This post is sponsored by GRO Organic, but I am so excited to share the possibilities of this program with you! Let’s face it. There’s a lot of work these days with momming. There’s how to wash the cloth diapers, how to baby wear, and how to feed the baby. All of that mixed with early mornings, late nights, and more than your fair share of teething extravaganzas. In between there, you’re trying to go all organic, grass-fed and GMO-free. Your grocery bill may increase, which doesn’t make your hubby too happy. Your recipe ideas may decrease, which makes things tougher on you. And your children may refuse to eat those vegetarian nuggets, which feels like a total waste of time, effort and money. From one natural, activist mama to another, who wants to support organic options whenever possible, I’d like to share my interest for a program seeking to make organic more available and affordable. After going organic, you’ve surely heard the naysayers: Organic is no different! Organic is not healthier! Organic is more expensive! We know that’s simply not true. From the GMO-free seeds used to the lower pesticide counts – organic is healthier. But, organic is not always affordable or available. Farmers face serious hurdles when registering their products as organic, as certification can be tedious and extremely expensive. Organic food, with its lack of preservatives, also goes bad faster than conventional foods. Learn more about why going organic is better for your family and which foods you should buy organic. One of the greatest struggles of the organic industry is the lack of unbiased research, solid marketing, and program support. That’s why I am so excited about the Organic Trade Association’s program GROorganic. The program will pool research and marketing dollars, and educate the public on what the organic seal really means. Organic farmers would be a small percentage of their total net sales into the program. 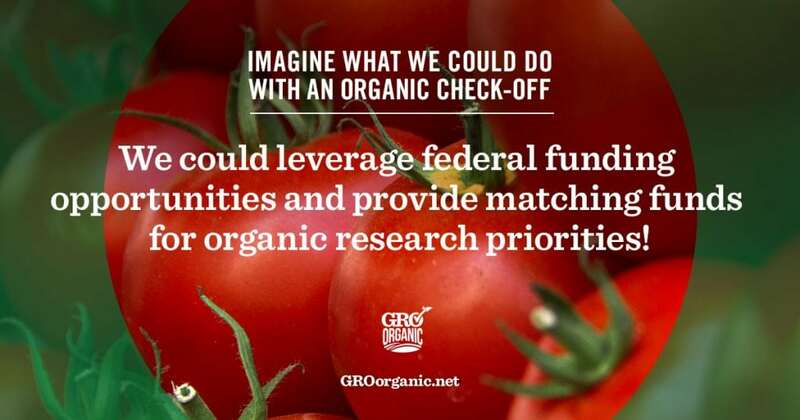 The funds would be allocated by the US Secretary of Agriculture to spend on advertising, research, and promoting organic produce.They would educate new and old organic farmers, research the health benefits of organic, and advertise the benefits of organic produce. Organic farmers would hold over 50 percent of the board, determining the direction of the funds. This is a new agricultural concept, where the shareholders actually get to make the calls of how the funds are used. This program could spell much more affordable, organic produce in your grocery market. Currently, there’s limited organic foods in large grocery chains because of cost, but also because consumers are not all convinced that organic is healthier. The conventional farming sector works hard to cover up this obvious fact. A program like this could bring this awareness to many more consumers, creating more demand for quality organic produce in larger stores, driving a much lower cost. Tell the Dept. 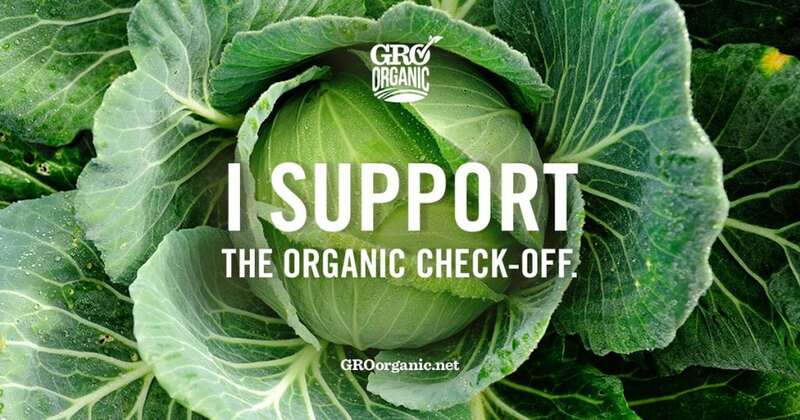 of Agriculture that we desperately need GROOrganic’s CheckOff Campaign today! To support organic options, speak up for organic, and show that you want affordable organic options available to you. Learn more about the GROorganic CheckOff program.